As Inside Scoop reports, it’s a German-style pilsner with “a smokey note and Sichuan peppercorns,” and it was produced by Bjergsø’s brewery in Denmark. 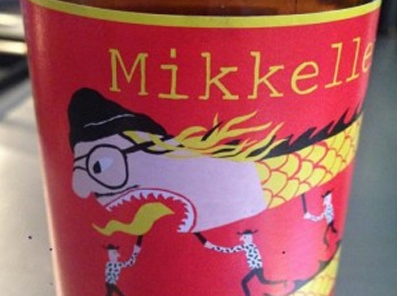 And the label bears the image of a dragon with Danny Bowien’s face, glasses, and signature skullcap. It’s not available to the public yet, but keep your eyes peeled. Read on. I like whimsey. I like food and drink. I like fun. Keep up the good work! Keep out all negative things, and bad news. Did you ever read Satre or Camus? I might drink that, but I’d pour it in a glass so I didn’t have to look at the label.